The cast of the cancelled Fringe show ‘The City’ hope to stage a one-off protest performance in Bristo Square later today, but with no words. As previously reported, ‘The City’ was due to be performed at the Underbelly, but came under fire after it emerged that the production had received funding from the Israeli Ministry Of Culture. As the current conflict in Gaza erupted, the Scottish Palestine Solidarity Campaign called for the show to be cancelled, with a string of significant Scottish artists supporting that call. The SPSC pledged to protest outside all and any performances of the show which, given it was due to be performed at one of Underbelly’s spaces in the middle of the Fringe’s Bristo Square hub, created logistical and security concerns. 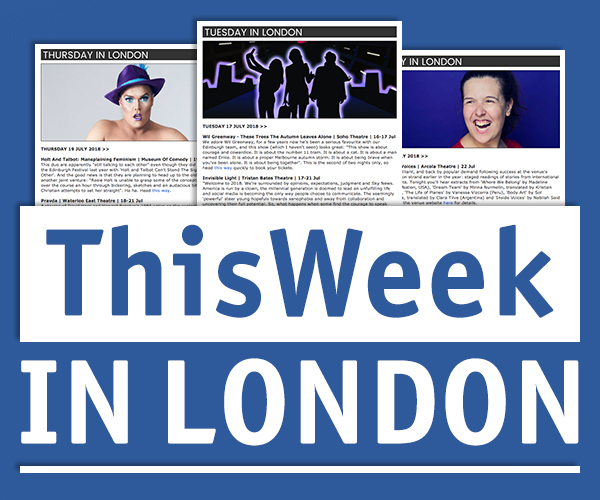 After just one performance the show was put on hold, with Underbelly hoping to find an alternative location that could cope with the protests, but earlier this week the venue announced it had not been able to find such a space. One of the producers of the UK production of ‘The City’ had previously insisted that, while Incubator Theatre, the company behind the “hip-hop opera”, had received state funding in their home country, the group were an “active force in developing an urban climate of pluralism and openness [in Israel], that accommodates a wide spectrum of opinions and world views”. With political causes colliding in this dispute, Incubator Theatre say that the SPSC’s protest has deprived them of their freedom of speech, with Artistic Director Arik Eshet telling the Scotsman earlier this week that he felt like the Fringe was “giving up” on his company, handing a victory to “political gladiators”. A spokesman for the Fringe Society told the paper: “The Edinburgh Festival Fringe is underpinned by our open access principles. These principles guarantee artists the freedom to present their work to the public without the intervention of a curator or the need for official approval. We are therefore deeply saddened when any artist or show is prevented from taking part in the Fringe. We have done what we can to support Underbelly and Incubator Theatre as the situation has developed and we respect the difficult decisions that they have taken”. It went on: “To be clear, our commitment to freedom of expression means that we support the right of all participants of the Fringe and members of the public to hold and express differing political views, but we also believe in an artist’s right to freedom of expression, and that the curtailment of this freedom is contrary to the fundamental ethos of the festival”. 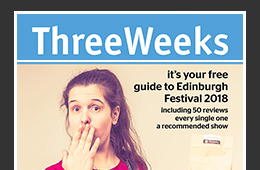 Having insisted that they will stay in Edinburgh for the duration of the Festival in the hope an option may emerge to perform their show, Incubator Theatre told ThreeWeeks yesterday: “[Our] show was cancelled as a direct result of political demonstrations. Having had our freedom of speech taken away by the Edinburgh Festival Fringe, we will perform the full play, with absolutely no sound”. That silent protest performance is planned for 4pm this afternoon near the venue where the company was due to perform.